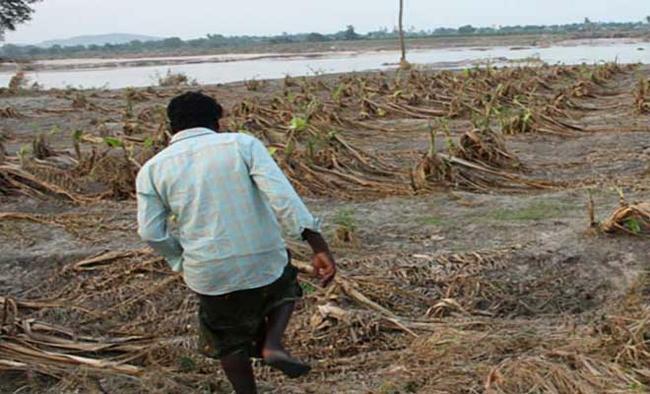 Bengaluru: As the effects of climate change on livelihoods become more pronounced, especially for people involved in agriculture and fishing in South and South-East Asia, support for rebel groups and the Naxalite movement is likely to shoot up, according to a new report. There is evidence that climate change will worsen socio-economic and political disparity in the region as those in power will get to decide who gets the limited resources and how much, the report, co-authored by researchers Pernilla Nordqvist and Florian Krampe while working for the Stockholm International Peace Research Institute (SIPRI), has said. "The climate-conflict linkage primarily plays out in contexts that are already vulnerable to climate change and violence, and where income is highly dependent on agriculture and fishing," Nordqvist told IndiaSpend in an email.Human activities have already caused warming of 1 degree Celsius as compared to pre-industrial times, according to the latest report of the United Nations' Intergovernmental Panel on Climate Change (IPCC). By 2030, or latest by mid-century, global warming is likely to reach 1.5 degrees Celsius. Close to 2.5 billion people live in South and South-East Asia, where poverty rates have been declining substantially, thanks to years of strong economic growth in countries such as India. However, the region is also prone to the fallouts of climate change, with glaciers in the Himalayas melting and several island-countries facing rising sea levels. Floods, cyclones, heat waves and droughts are now a frequent occurrence and are expected to intensify in the coming years. "The region is highly vulnerable to the impact of climate change and also has a recent history of political violence," Krampe told IndiaSpend.Nordqvist and Krame examined 2,000 peer-reviewed studies on the relationship between climate change and conflict and narrowed down on 21 of the most authoritative works for their report, which was published in September 2018. Their findings from India show that rebel groups and government forces both find recruitment easier when drought is around the corner.The IPCC report also adds that climate-related risks to livelihoods, food security, health, water supply and human security are projected to increase as the planet warms by 1.5 degrees. With a 2-degree rise, the risks will intensify. In some areas affected by the Naxalite conflict, the worsening of livelihood conditions has been related to the increased intensity of ongoing civil conflicts. During a drought, or a potential drought, there is an increased risk that rebels and government actors recruit or cooperate with civilians in exchange for livelihood and provision of food.Naxalites could use climate-related events to gain power in an ongoing conflict, and rebel groups more generally could increase their use of violence against civilians to ensure their groups' food security, according to the report. "They violently remove local farmers from their land to ensure enough cropland and agricultural supplies for their own use. The risk of violence seems especially high in rural areas, where government control is scarce and the local population is dependent on the support or protection of rebels or other armed actors," Nordqvist said. As climate change pushes up migration, it introduces the possibility of riots in urban areas over resources, the report said. Highlighting the case of riots in Tripura in northeastern India, it said the effects will be most felt in areas where there are already low levels of socio-political stability. "Many of the climate change problems are trans-national. The Brahmaputra, for example, flows through three countries and is seeing frequent flooding. There is no question that countries will need to cooperate and tensions like the ones between countries India and Pakistan will make this difficult," Krampe said. There is some research on the relationship between climate change and conflict in countries such as India, Bangladesh and Pakistan, the report said, adding that there is little understanding of how climate change could be driving conflict in places such as Afghanistan and Myanmar. Elsewhere in South-East Asia, in some coastal areas of Indonesia the reduced income opportunities from fishing have been linked to a rise in piracy-related activities.But the impact does not end there.In Pakistan, for instance, the Islamist group Jamaat-ud-Dawa (JUD) was able to increase its stronghold in Sindh province after the group participated in relief activities following extreme floods. The IPCC report also warns that those living along coasts and populations dependent on agriculture will be the worst hit by climate change, which will push up poverty rates in coastal areas and in developing countries.However, "Not everyone affected by climate change will join a rebel group but this also relates to the failure of the governments to respond to disasters," Krampe said. At the same time, not all areas will see conflict in the face of climate change. Some might even see a greater cooperation in the aftermath of a natural disaster. These regional dynamics are evolving, however, and their contours will only become clearer with time.